There are few things more exciting than seeing an iconic view of a place that you have travelled thousands of miles to visit, whether it’s the Eiffel Tower glittering in the night sky, a decorated elephant walking down a busy sidewalk, or a tango dancer spinning across an Argentinian dance floor. 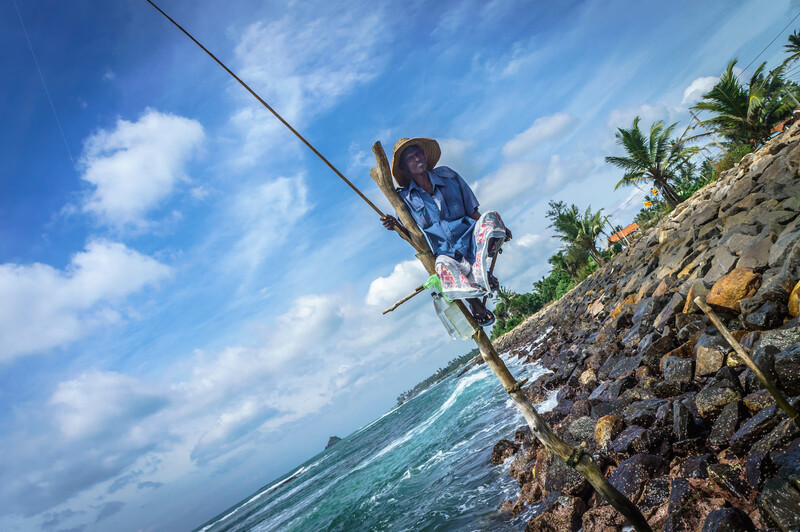 That’s how it was for me in Sri Lanka when I looked out of the car window at the shoreline and first caught a fleeting glimpse of a stick fisherman perched atop a rickety stilt. Breathless with excitement, we begged the taxi driver to stop. With a sardonic smile, he pulled over. “Do you think we can take pictures?” we asked. “I’m sure they won’t mind, if you hand over some rupees” he replied. As we approached the fishermen they waved to us and we eagerly clambered over the rocks towards them. The older of the two men, whose stilt was much shorter than the other, climbed down to greet us and took the crumpled notes from my extended hand. The other posed with his fishing line; a small fish dangling from the bottom of it. That should really have been the first clue. As we clicked away at the picturesque surroundings, the elder fisherman gestured for us to sit on the crooked stilt. By now, it was beginning to dawn on us that we hadn’t just interrupted two fishermen going about their daily work, but had stumbled into a tourist set-up. But, as we had already paid our dues we figured ‘why not’ and happily posed for the pictures. Once back in the taxi the driver asked us if we knew what the men were fishing for. We looked at each other, realising that we hadn’t thought to ask. ‘No’, he said, turning to us with a twinkle in his eye. As it turns out stick fishing is not a tradition dating back hundreds of years, but came about due to food shortages in the 1940s. 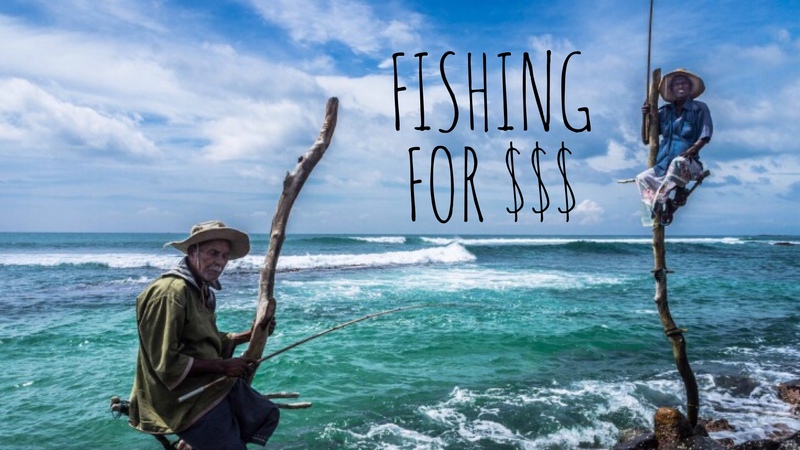 These days, however, it is not an effective or profitable form of fishing and it is reported that many of the stilt fishermen dotted along Sri Lankan shores are there solely for tourists. They are, quite simply, fishing for dollars. Although this is a side of travelling that makes me sad, for them it is not a bad way to earn a living. Many of them will have suffered losses in Sri Lanka’s brutal civil war and the 2004 Indian Ocean Tsunami, and making money this way is easier than others. As for the tourists, it doesn’t cost much (about $1.50) and the photographs look great. What do you think? Do you feel cheated by tourist traps, or do you think that such tourism helps to preserve cultural practices that might not exist otherwise? Where else have you experienced tourist tricks like this? What beautiful pictures! I personally don’t see an issue with ‘cons’ like this as there isn’t anything malicious about them, and it makes for an incredible picture opportunity! Thank you. This is definitely the kind of trap I don’t mind falling for – everybody has to make a living. He got some cash, I got a great picture, it’s win-win!